Tane Danger and Brandon Boat are seriously funny. And they're proving it every Thursday night in February and March! Join them, and the cast of characters at The Theater of Public Policy, to contend with the most pressing challenges facing Minnesota today using one of the most dangerous weapons of all: laughter. See below for their upcoming schedule and be sure to check them out online as well as onstage! We are extremely excited to announce a new season of The Theater of Public Policy (T2P2) atHUGE Theater. 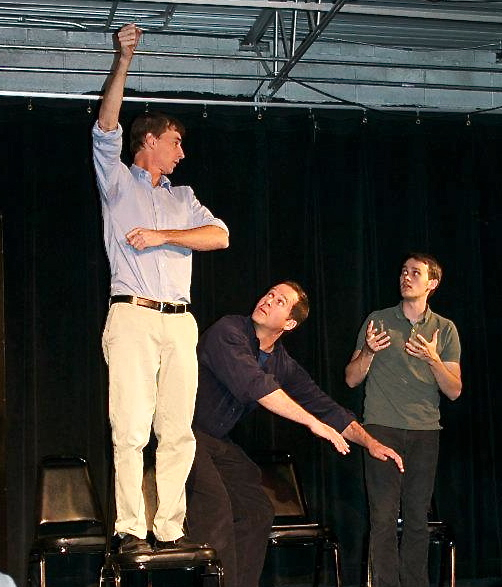 Our cast is gearing up to explore immigration, education, the 2012 legislative session, energy infrastructure, the environment, and a new Vikings stadium, through improv comedy. We hope you'll join us each Thursday at 7pm at HUGE Theater in Uptown Minneapolis. For those of you who have never been to a show, we use conversations with big thinkers on big ideas as inspiration for long-form improvisational theater.Each show opens on an interview with a leading policy maker or advocate on a particular issue. 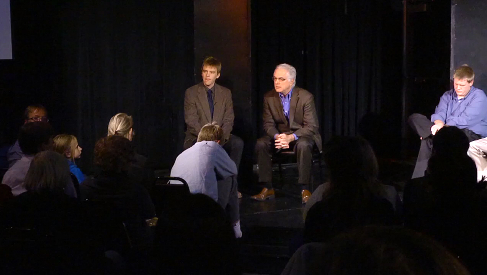 Our cast unpacks and re-imagines those ideas, debates, anecdotes, memes, and opinions, live and unscripted on stage. T2P2 would like to thank inCommons and the Citizens League for their support. This season promises fascinating conversations and insightful comedy on some big issues. For more details on each topic, visit our website,www.T2P2.net. Guests: Annie Levenson-Falk of the Citizens League and Juventino (Juve) Meza of NAVIGATE. Guest: Lori Sturdevant, columnist/writer with the Star Tribune. In addition to a great line-up of guests, we've added three veteran improvisers to our cast: Jen Scott, Eric Simons, and Maggie Sotos. We've also left a healthy 45 minutes at the end of each show for audience members to mingle with the cast and expert guest. Shows start each Thursday at 7pm @ HUGE Theater - 3037 Lyndale Ave South, Minneapolis. It's going a great season! Don't miss it! T2P2 is interested in working with you! We can tailor a show for your organization or conduct a training that teaches communication skills and teamwork. Contact us for more information. An interview with leading thinkers. Exploring ideas through improv comedy.